Gionee S10 is a mid-range smartphone that will especially appeal to photography enthusiasts while still promising great performance. The Gionee S10 comes with a whopping four cameras, huge Full HD IPS display, an octa-core processor, and a fingerprint scanner. This is an elegant smartphone with nicely curved corners and a physical Home key. The Gionee S10 boasts a slim profile with the thickness put at 7.4 millimetres. It is a tad heavy, though, at 178 grams. The mobile phone has roughly 70 percent screen-to-body ratio. Gionee S10 features a large 5.5-inch display with a resolution of 1,080 x 1,920 pixels. With a pixel density of roughly 400 ppi, the IPS touchscreen should deliver immersive wide-angle viewing. This is the real talking point in the Gionee S10. It comes with an awe-inspiring four cameras. Get ready to take all kinds of shots. On the rear, the Gionee S10 combo of 16-megapixel and 8-megapixel sensors with dual tone, dual LED flash and phase detection autofocus. Selfie addicts get generous ‘tools of trade’ in front – a massive 20-megapixel sensor and an 8-megapixel sensor. This is obviously a device for those who love taking lots of photos. It also records Full HD videos at 30 fps. Under the hood, the Gionee S10 hides an eight-core MediaTek MT6757T Helio P25 processor. This runs at speeds up to 2.5 GHz and is assisted by 4GB RAM and a Mali-T800 MP2 GPU. Gionee S10 reportedly offers up to 6 GB of RAM. Onboard storage capacity is 64 GB and you can expand the space by another 256 GB using a microSD card. The device boots Android 7.0 Nougat with Gionee’s Amigo 4.0 skin on top. 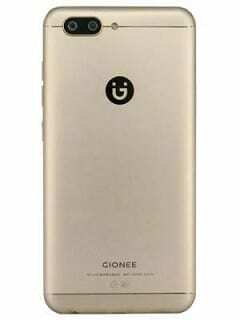 Gionee S10 now comes with a 3,450mAh Li-Ion battery, which is an upgrade on what the S9 offered. There is a front-mounted fingerprint scanner for added protection of your sensitive information. Connectivity and communication features available in the Gionee S10 include microUSB 2.0 with USB Host, Bluetooth 4.0 and dual-band Wi-Fi 802.11 a/b/g/n/ac with Hotspot and Wi-Fi Direct. This is an option to consider if you are in the market for an LTE-enabled device. Gionee S10 supports LTE on MTN, Etisalat, and NTel in Nigeria. 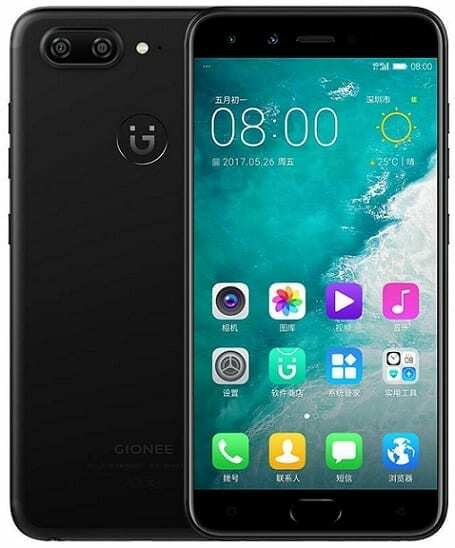 Gionee S10 is not yet available in Nigeria, Ghana, or Kenya. When available, you can buy the smartphone at leading online stores in the country. Gionee S10 Price in Nigeria is expected to range from 75,000 Naira to 150,000 Naira, depending on your location in the country.